Motion Pro is dedicated to producing the best cables in the powersports industry. 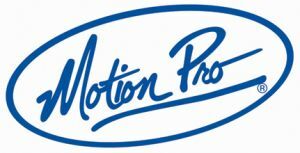 With over 20 years of race proven experience, Motion Pro products deliver performance, quality and value. Dedication and quality is in every Motion Pro product they produce. Sale includes (1) brand new cable. Picture for illustration purposes only -- specific applications will vary. Exact OEM measurements and fittings. Special nylon inner liner assures smooth operation. Rolled tempered-steel wire housing made to exact inner and outer specifications to insure correct clearances for the inner wire. Click on the Buy It Now button to immediately proceed with your checkout and payment. Sales tax is required for all Missouri residents regardless of which state product ships from. 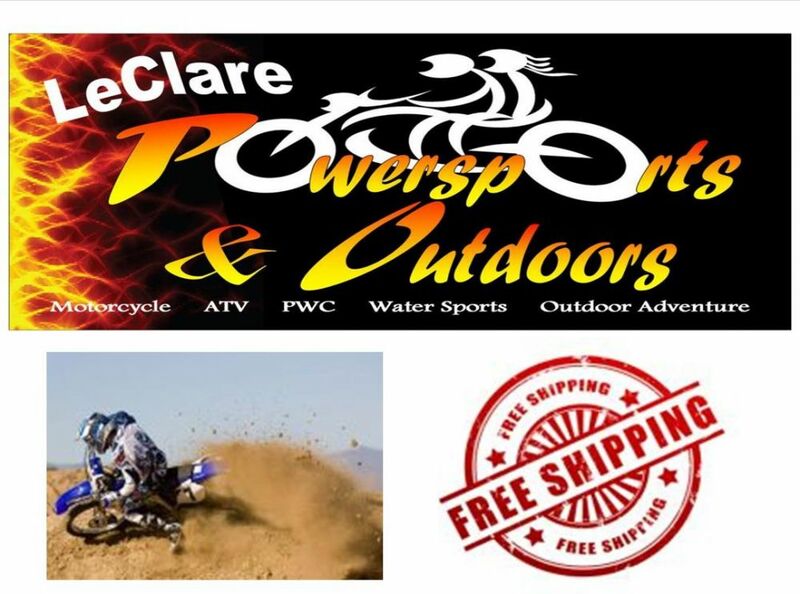 By purchasing from LeClare Powersports, you agree to our Terms of Sale. Free shipping to all of the USA including PR, AK and HI. Our goal is to get the item to you as fast as possible. You should receive your package within 7 business days, depending where you live (most customers receive delivery in 3-4 business days). This item may ship from various warehouses throughout the USA by either UPS, FedEx or USPS depending on many variances such as your location, time of order, etc. For specific details, please email us with your zip code prior to purchasing. You will be emailed the tracking # as soon as it ships (to receive emails from us, please make sure the email you have listed with eBay is correct). It will also be uploaded to eBay. Please note that eChecks must clear before item can be sent. Need to exchange for a different item? Simply contact us for an RA # and instructions, then return item (at your expense) along with $5 to cover the shipping of the new one to you, plus (or minus) any price difference between the two items. Want a flat out return? Simply contact us for an RA # and instructions, then return item (at your expense). A 10% restocking fee applies to all returns. Product must be in perfect re-sellable, unused condition in its 100% original, un-torn packaging with all original paperwork and/or accessories. Factory seal must not have been cut or damaged. All tags MUST be still connected to the products. If any tag is removed, we cannot accept it for a return or exchange. No bags or included packaging may be ripped or torn. LeClare Powersports is a small-town Parts & Accessories store in Doniphan, MO. Our low overhead allows us to offer better prices than the big boys, but our owner-operated store allows us to give our customers the great customer service they need. We only sell brand new, high quality GENUINE name-brand aftermarket parts...no junk, no knock offs and no "seconds". Buy with confidence! When it comes to design, Mercedes-Benz was long the conservative grande dame of luxury-car makers. Styling was understated and aimed at middle-aged buyers. But a shift toward sportier and more youthful styling, partly driven by U.S.
Just one of the Ferrari's wrecked by a Florida businessman. Here at Cars UK we tend not to report on exotic cars involved in crashes. True to say it’s a bit of an interweb phenomenon and generates a lot of traffic. Audi will being production of the Audi A1 in October And now comes confirmation that Audi is finally going to kick off production of the A1 in October. The head of Audi’s Brussels plant – Alfons Dintner – has confirmed that the Audi A1 will start production in October after a five week shutdown in August to gear the Brussels plant up for production of the new A1. The new Audi A1 will start to hit European Showrooms in the early part of 2010.